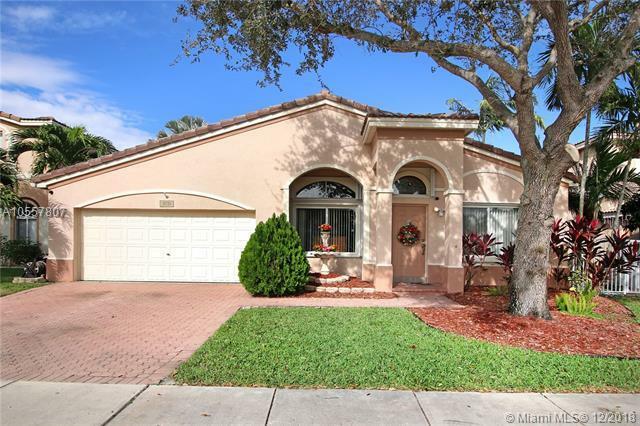 Lovely 3 bedroom WATERFRONT home located in the gated community of The Village at Harmony Lake. Home has an open floor plan feel with split-bedrooms and high ceilings. 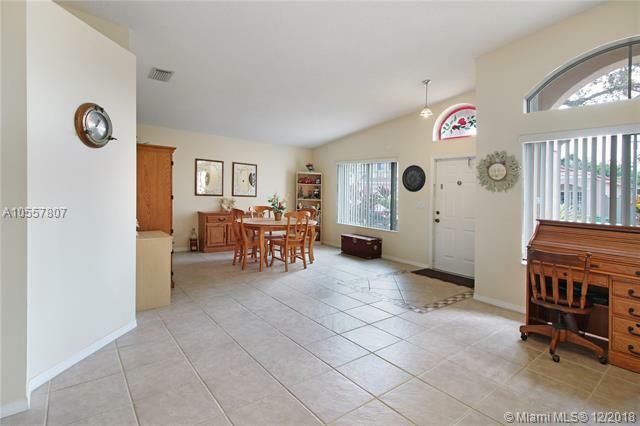 Tile flooring runs throughout the living areas while carpet is in the bedrooms. 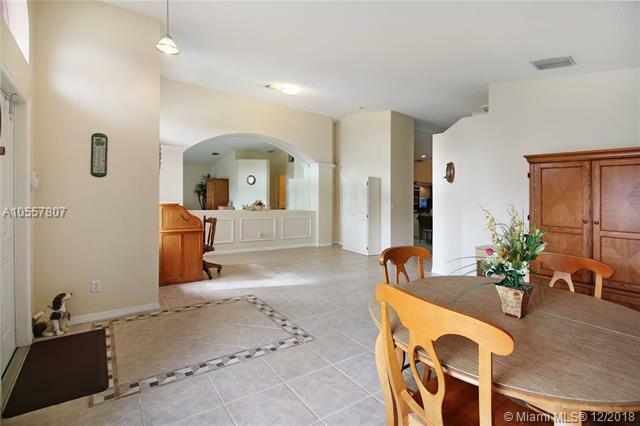 Kitchen features granite counters and backsplash, snack counter, newer stainless steel appliances, and closet pantry. Spacious master suite has his and her vanities, garden tub, and separate shower. Step outside to the backyard and enjoy a serene lake view from your covered patio. 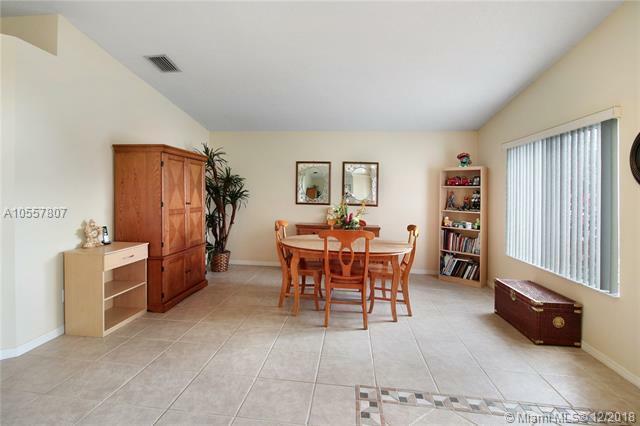 Other features of this home include accordion shutters and newer A/C and water heater. Community amenities include tot lot, racquetball courts, tennis courts, basketball court, community pool, and more!